Nairobi, Kenya. 14 year-old Abila lives with his parents in Kibera, one of the largest slums in East Africa. One morning the teenager discovers his father ill and delirious. Someone has stolen his soul, mumbles the father as he sits huddled in a corner. Abila is shocked and confused but wants to help his father and goes in search of a suitable cure. Supported by his friend Shiku who is the same age as him, he learns that his father has gambled his soul away in the company of a spiritual woman. The teenager doesn't want to believe it and sets about looking for the witch. When he finally discovers her in the darkest corner of the ghetto, she gives him seven challenging tasks to save his father's lost soul. Abila embarks on an adventurous journey which leads him right through the microcosm of his home town. 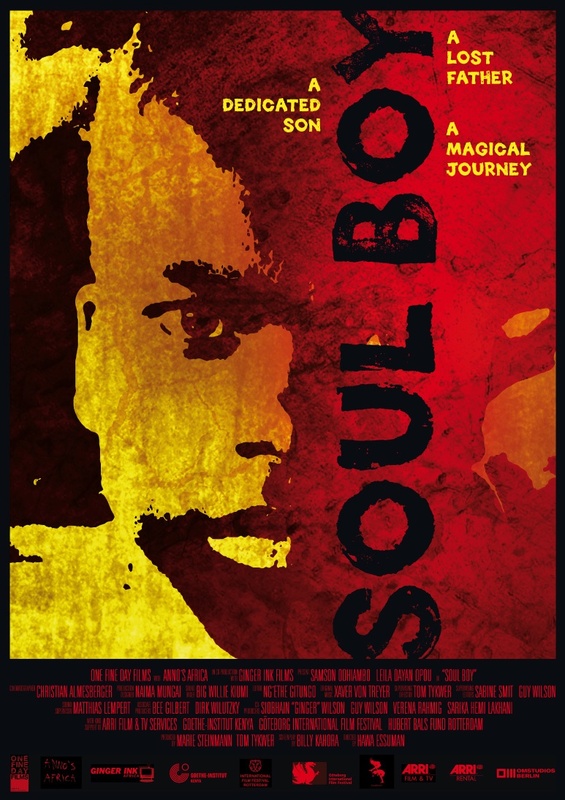 Soul Boy, not to be confused with the UK comedy film SoulBoy, is a Kenyan film directed by Hawa Essuman, and co-directed and produced by German director Tom Tykwer. The film premiered at the 2010 Berlin International Film Festival. It was filmed on location in Kibera, the largest slum of Kenya's capital city Nairobi and is the result of an initiative to showcase up and coming talent of the fledgling African film industry. This is a fairy tale like story of a young teenage boy who is given a set of tasks to complete within 24 hours in order to save his father's soul. Though it impresses with a solid production quality, the story comes across much like a by-the-numbers television episode. Also, the acting was hit and miss, as the young actor Samson Odhiambo who plays the main character Abila was not entirely convincing, but Leila Dayan Opou who plays his girl-friend Ciku was quite good in her supporting role. At least the technical aspects of the film were excellent and the camera work especially looked world class. Kenyan cinema still has a long way to come, but hopefully this film will open some doors and encourage more films to be made, because African stories are sadly way underrepresented internationally. It's a great sounding story. best review blog so far. That bottom screenshot (invisible train?) has me curious.. This sounds very interesting BT, Thanks very much for enlightening me in a film that I have never heard of! !